Very small dimensions, just 63x50mm. Adjustment for Picture Size, Servo Gain, Damping and Offset. Inverting jumper. 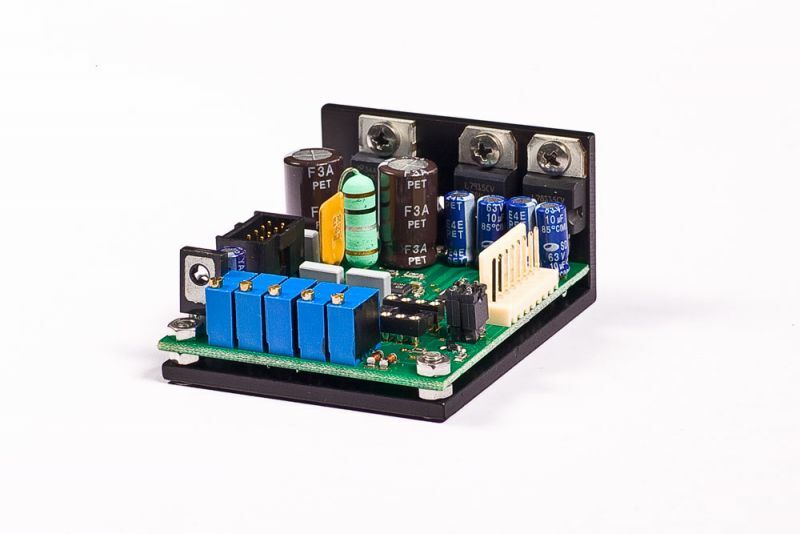 Needs source of +/- 20-30VDC at 1A per voltage. Scan speed as high as 60kpps (ILDA standard) with CTi 6210HB galvos and small mirrors. Latest revision offers increased picture quality and higher speed at large scanning angles. Ideal replacement for the discontinued MicroMax 677xx driver. +/-5V diff.. up to +/-10V diff.